Rep. Trey Gowdy announced Wednesday that he will retire at the end of the year, becoming the ninth Republican chairman of a congressional committee to decide to leave Congress at the end of this session. "I will not be filing for re-election to Congress nor seeking any other political or elected office; instead, I will be returning to the justice system," Gowdy said in a statement posted on Twitter. "Whatever skills I may have are better utilized in a courtroom than in Congress, and I enjoy our justice system more than our political system. As I look back on my career, it is the jobs that both seek and reward fairness that are most rewarding," he added. Gowdy became the chairman of the House Oversight and Government Reform Committee last June after Rep. Jason Chaffetz, R-Utah, decided to resign from Congress. Gowdy had previously chaired the House Select Committee on Benghazi, which investigated the 2012 attack on the U.S. compound that resulted in the deaths of several Americans, including Ambassador Christopher Stevens. The announcement was posted after Republican lawmakers, who were traveling to their annual retreat in West Virginia, experienced a crash on their chartered Amtrak train. Their train appeared to hit a garbage truck. The White House confirmed the crash, and said in a statement that there is one known fatality. So far, lawmakers appear not to have sustained major injuries. 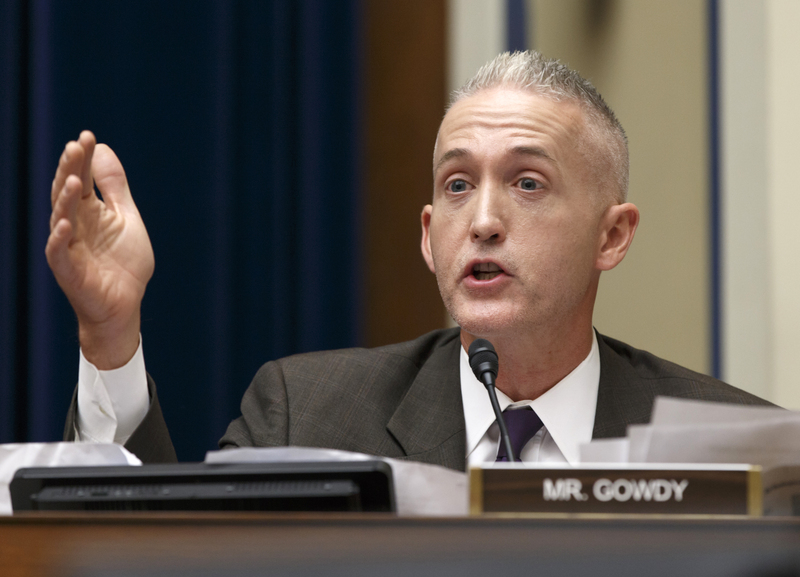 Gowdy becomes the eighth GOP committee chairman to announce his retirement. In addition, GOP Rep. Diane Black of the House Budget Committee is running for Governor of Tennessee and will give up her gavel. Meanwhile, more than three dozen GOP House members have announced that they will not seek re-election.